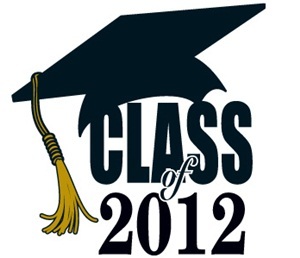 With graduation season well upon us, there is no shortage of witty and wise graduation messages to the class of 2012. We pointed out last year that the Teaching Underground isn't likely to make any of those wise and witty speeches, but after teaching the class of 2012 for the last nine months I'd like to offer the second annual Teaching Underground Graduation Speech. Congratulations! Welcome to the 88% of adult Americans with a high school diploma. Some people will tell you it doesn’t mean that much anymore. But do you remember your first day of school. It was probably a big deal. Pictures, special clothes, extra attention—some of you might have even brought a tear to your parents’ eyes. The fact that it was the first day of school for every other five year old in the county didn’t diminish the significance of that day in your life. A high school diploma is an expectation in our American culture, but don’t let that convince you that what you’ve accomplished is anything less than a success. With this success, I do have a little bad news. People have been telling you otherwise for a while, but it’s time you know the truth. You can’t be anything you want to be anymore. You have set a course in elementary, middle, and high school for yourself that has laid parameters for what you may accomplish into the future. The sooner you discover those parameters and work toward maximizing your opportunities within them, the happier you will find yourself in life. For example-- If you’ve never picked up a golf club in your life, don’t count on winning the Master’s. If I just crushed your dream, you can still practice hard and make some sacrifices for the next twenty-five years of your life and hope to earn a spot on the senior tour. If you meandered through high school doing just enough to pass your classes with a “C” or “D”, you’re not likely to find yourself in the 2016 entering class of Harvard Law School. Don’t leave high school with the false impression that now you’re going to ace the next two years of community college, transfer to a top tier four-year university, and graduate into a six-figure salary. Good intentions alone won’t change over a decade of learned study habits and attitudes. Success takes hard work, but just as importantly, it takes wise work. Chasing a dream makes for great books and movies when they work, but tune into American Idol in January—you know, when they host try-outs and everyone laughs at the terrible contestants who thought they could sing. Some dreams are best left in the middle of the night. You’ve earned a diploma, so I hope that you’ve learned to listen critically. I don’t want you to put your dreams aside and move into the real world at eighteen years old. Frankly, that’s not even healthy for a forty year old. But you’ve been told the opposite for too long, so long it almost sounds cruel to say otherwise. It helps to remember your failures. Some of you haven’t been allowed to have very many of them, but think. Remember not getting picked by your classmates, being cut from a team, not getting the part in a play, failing a test, college rejection letters. Despite it all, you’re still here today. You’re still sitting in a cap and gown, ignoring the speaker, wishing it would be over, not sure whether you should be happy or sad, nervous or excited. You’re experiencing a richness of life that only comes through effort, failures, perseverance, then success. You can’t do “anything” you set your mind to, but you can set your mind toward significant and lasting accomplishments that you can be proud of. I teach Psychology, and students this year learned that individuals who are motivated to succeed choose challenging but reachable goals. If you want to get better at basketball, you don’t stand right under the basket to practice shooting. But, standing well beyond half-court taking shot after failing shot is just as much a waste of time. Waiting for luck is different than looking for success. This will determine where you are ten, twenty, fifty years from now. Complacency breeds mediocrity and unfettered idealism breeds justified failure. Challenge yourself with realistic goals. Stretch just beyond your comfortable ability and when you reach comfort, stretch just a little more. Don’t rest on past accomplishments or give up because of current failures. Take a lesson from the cap and gown you’ve earned the right to wear today. Life is not lived for a single moment of achievement. Each achievement is a commencement for a new chapter of life, a new series of set backs and successes, both of which propel you into the future. Embrace that future by welcoming the challenge. Keep your eyes on the stars if that’s your destination, but don’t spend a lifetime stuck on the ground because ignoring reality and refusing to fight gravity. d) Spend time in conversation with students, getting to know them and informally assessing how much they know. (ten to fifteen minutes; no cost) Ask open ended questions on the topic that allow relevant points to be discussed. (fifteen to twenty minutes; no cost) Give a short assessment using multiple choice, fill-in the blank, or short answer responses. (ten to fifteen minutes; four or five dollars for copying and pencils. There is no single right answer, but at least one obviously wrong answer. All teachers and schools have limited time and limited resources; both are shrinking. Class requirements are increasing and budgets are not growing. Testing and teaching both play a role in education, but one occurs at the expense of the other in our current environment. Most people would choose a balanced approach above. Instruction paired with reasonable assessment. But when the dollars and time get tight, assessment can't take the place of instruction. As time and money becomes more scarce in public education, the amount of time and money required for testing continues to grow. Without increasing the time or money available to schools, the cost is quality instruction. If you spend all of your time and money on testing, nothing is left for teaching. We haven't gotten to choice "E" yet, but we're certainly heading in that direction. Can we change course before it's too late? This shouldn't upset the good test companies. I'm sure all of the good test-makers out there want the bad one's out just as much as the rest of us. But until we stop yielding to the union of corporate test-makers and start making policy that benefits children first we are stuck in this status quo of subjecting children to sub-standard testing. If anyone complains about this idea then it's probably because they're afraid of change. They've become complacent with the protection that lack of transparency has afforded. The quality test-makers will applaud this approach as healthy and necessary for the success of our children in the 21st century. Some might argue that publishing the errors of these testers is unethical, but in a system of public education, parents have the right to know what kind of quality they're getting. We learn from mistakes, but when those mistakes interfere with the future of our children and the vitality of our economy nation, we must put the children first. Click on the pictures below for a better look at one of the latest failures of this status-quo entrenched testing business. As a teacher of Ancient World History, one area I find interesting about the period of study is language. Thousands of years separate civilizations and written language offers a window affording us a glimpse as to the way things were for people who have long since disappeared. When a language is "lost" to time or cannot be translated, a great deal of misunderstanding exists. Often some catastrophic event or mysterious demise brings on such a void. Sometimes it is geographic distance which separates cultures and prevents mutual understanding. Only about 60 miles separates my school from the decision makers in our state capital of Richmond but it might as well be a million. The gap between us is wide indeed. I think they might even be on another planet. My students have taken this year's SOL test. I tried to prepare them as best I could for this test that I have never seen. I can''t prepare them for receiving their scores and not knowing what they missed. Somewhere in the language of the test and the scoring there exists a disjoint which results in a process devoid of much value. This test requires a Rosetta Stone in order to decipher what exactly is measured and how. Far worse, without having seen the test or any of the questions, it is impossible to judge its merits fairly, point out flaws, or seek clarification. The secrets of the test are even more mysterious than the language of the ancients. Why do we place such a degree of legitimacy on the tests when it is clear they inherently lack legitimacy? How can anyone be allowed to make a test like this and get away with not being more transparent to those that are judged by it? Is the quagmire of documents, forms and numbers designed purposefully to deceive or misdirect? One is left to speculate. We have explored these issues in several previous posts on the TU. See Bottom, Truth, Fact, $#!%, Flux among others. There are so many things wrong with the tests themselves and the way they are used that for those not directly involved in today's schools it is difficult to comprehend. Painfully evident is the reality that testing is leading us to a place where a growing number of common sense people and countless educators know is bad. A representative in the state legislature of Indiana, Randy Truitt voiced some of this in a recent letter to his colleagues. Imagine the opportunity to sit with a leader of the society like the Maya or Easter Island and simply ask..."What happened?" If I had the same opportunity with the folks at Pearson and the state DOE I'd do my best to dig deep. My conversation would ask among other things what exactly are you trying to accomplish? I'd begin with a printout of "raw" scores. What makes it raw is how you feel when you try to figure out what these scores mean once they are scaled(I usually say chapped not raw). This year is no exception. From VDOE website "the raw score adopted by the Board to represent pass/proficient on the standard setting form is assigned a scaled score of 400, while the raw score adopted for pass/advanced is assigned a scaled score of 500." That makes perfect sense except when you look elsewhere on the site. So never mind the 53/60 cut score above since my students who missed 7 questions (53/60) only received a 499. I would bet that very few students and even fewer parents would have any idea where the 400 and 500 delineations come from. Aliens perhaps? Apparently that will remain a mystery. The vagueness there is surpassed still by what the teacher responds when a kid asks, "what did I miss?" All I can offer is the kind of imprecision usually reserved for an ancient text translation or interpretation. 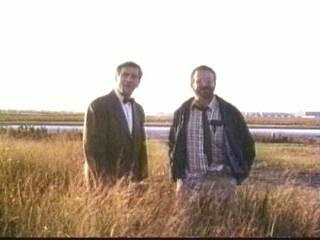 "OK Johnny... it is obvious, you missed four in both Human Origins and Early Civilizations and Classical Civilizations. The Classical Civs questions had something to do with achievements of a person, architecture, role of a key person in a religion, and a figure's accomplishments. Not sure what ruler, where they were from or what you didn't know. But what is important for you to remember is that although there were more questions in the HOEC category(thus in theory they each had less value), you again are mistaken because in fact, you only got a 31 scaled scores versus a 32. You got a 394 so you failed. Just do better. Make sense? No? Good." After consultation with our legal department(each other) and careful inspection of the Test Security Agreement we all sign we elected not to include an actual copy or portion of the grade report. The rationale being that we need paychecks and both have families to support. How sad is it that teachers are scared to question the validity of a test by referencing the actual test or results from it? (1)Reporting categories contain vague language like "idenitfy characteristics of civilizations" to describe question that the student answered incorrectly. (2) category A had 11 questions of which the student missed 4. Category B had 10 questions of which the student missed 4. The student's scaled score for category A was 31, for B 32, with no explanation of why question in category A are are given greater weight. (3) The scores, grade reports and feedback is clearly not useful to improve student or teacher performance with specifics as to where weaknesses exist. Imagine that conversation with a student who fails and trying to help them. We are asked to "re-mediate" which I would imagine means we target areas where the student has weaknesses. That is a much tougher task without knowing where exactly they are weak. I can understand not wanting us to teach to the test. How about teach to the kid? I and my students are judged by a test which in no way serves as a tool to improve my teaching. How on Earth are we to try to do better next year? Those that devise such an approach remain as distant as any of the cultures my students are required to learn. What's more is they manage to encrypt any relevant information in such a way to make it utterly meaningless. The numbers and stats derived from massive student testing across the state serve little more purpose than to send the message that policy-makers and testing Corporations like Pearson want to send. When scores are too high, standards are raised. When scores are too low, standards are lowered. Neither the Department of Education nor Pearson are able to state in clear language an objective explanation of how scores are calculated and why certain cut score choices are anything less than arbitrary. The twenty-first century process for holding American students, teachers, and schools accountable should not prove more difficult to translate than Ancient Hieroglyphics. Your class has brought great joy to our frontal lobes. Our sympathetic nervous systems are always activated in your presence. You are the terry-cloth mother to our rhesus monkeys, the Robin Williams to our DeNiro. That's the best appreciation a teacher can get. They expressed thanks to me as a teacher, and managed to show me they'd learned something at the same time. (In case you couldn't figure it out from the note, I teach AP Psychology). Education: How do You Measure Up? How many kids have you helped? One hundred? One thousand? Ten thousand? Last week our school lost someone who arguably has done more for kids(and teachers) than anyone else at the TU put together. A real legend. His name was Gus. 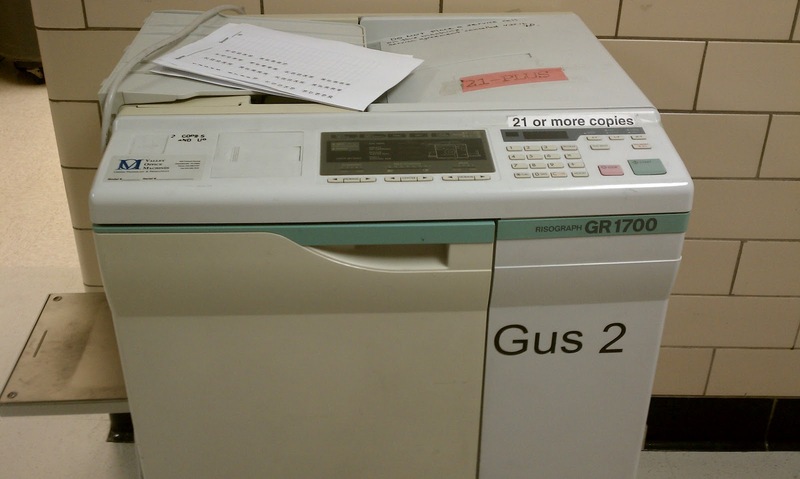 Um...actually it was Gus 2 but we aren't actually sure if there was a Gus 1 so the number after his name just seems unnecessary. Like when you talk about the Superbowl people assume it is the one that just happened or the one coming up. Mr. Hand wasn't such a bad guy. 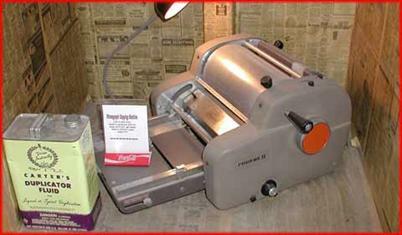 Speaking of super... You may recall the mimeograph machine of your youth that students adored. Reason being that beloved scent and euphoria when copies came fresh and warm. It is a lost reference to those too young to remember the scene in Fast Times at Ridigemont High(how'd that get left off our teacher movie list?). I vaguely remember them but for some odd reason my short term memory has always been weak. I do remember doing my student teaching at a tiny rural school here in VA that it would be fair to say was a bit behind cutting edge. The copy machines there were still hand cranked. The purple ink they used ruined all of the dress shirts I owned in college(all 5). The school was built in 1939 and not equipped with the luxury of "conditioned air." That made the prospect of making copies in that 3rd floor copy room and the amount of effort involved far less appealing. So when I arrived at AHS I appreciated Gus that much more. While mimeographs historically have captured more attention from generations of ink heads, Gus and his risograph friends were the workhorse of the fleet laboring away with little thanks. As advertised he provided "productivity and cost-savings"...and was a " fast and reliable printing solution... designed for highspeed production." Day after day, week after week, year after year. Gus was a superstar. To me he rose to almost mythic status and helped me help kids. His rhythmic cadence was hypnotic and oddly soothing. He never complained or got grumpy when you need copies five minutes before class. He never worried about copyrights. Sure he had breakdowns but he never took a personal day or even a field trip. He just sat in one place and made the copies. 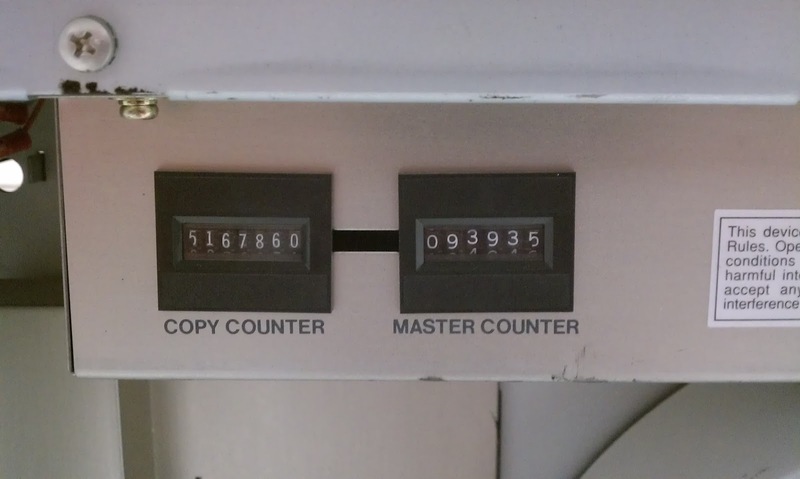 A lot of copies. Pause this evening and consider if your efforts measure up to that. So as he moves on to that ...that...well to wherever they take old copy machines, TU pauses to salute Gus 2. Rest easy old friend. Well done sir. Well done. "the performance level descriptors (PLD) for the Standards of Learning (SOL) tests...convey the knowledge and skills associated with each performance (achievement) level. The PLD indicates the content-area knowledge and skills that students achieving at a certain level are expected to demonstrate on the SOL...may guide educators and parents in understanding the type of student performance required for each achievement level... there is a detailed description, a brief description, or both. The brief description is a summary of the content-area knowledge and skills that students are expected to demonstrate on the test and appears on the score reports for some courses. The detailed description provides additional explanation of the knowledge and skills that students are expected to demonstrate". I'll stop with the snark now. This really isn't funny. Someone at the DOE simply added bullets to a paragraph of text and called it "detailed" instead of "brief." There is no difference in the text from one document to the other. This is supposed to be information that informs parents, students, and teachers understand what a given test score means about a child's ability. And to think the Governor of Virginia wanted to pass legislation making it easier for administrators to fire bad teachers, who is accountable for the creation of this document? To most people this seems like over-reacting, but the people who work for the state and direct education policy for YOUR children either don't care enough to actually add detail, don't think you deserve the detail, or think this is good enough, and somehow nationally the narrative goes "if we could just get better teachers in the classroom." In addition to the fact that the only differences in the "brief" descriptor and the "detailed" descriptor are bullets, the language itself is troubling. 1) We can actually describe a students level of performance if they fail? They should be able to locate, identify, and match. If they demonstrate a proficiency in these skills, congratulations they fail. What is the label if they fail to locate, identify, and match? "Fail Really Badly." 2) How about a little creativity? I'm a fan of Bloom's and all, but this document just walks up the taxonomy without much thought to how it's getting there. Identify, Locate, Match/ Describe, Explain, Explain/ Compare, Organize, Interpret, Analyze. Was there any thought about "the type of skills a student is expected to demonstrate", or does it just sound good to use the accepted language of the educational establishment to legitimize and strengthen a vague explanation? a) they are an excellent attempt to inform the public of what SOL test results mean. b) they are the product of overworked and underpaid public workers at the DOE trying to do their best. c) they are a disingenuous attempt to mislead the public about the reality of testing. d) they aren't perfect, but we're making progress toward a worthy goal. Did I measure your ability to interpret? You may never know because I'm not going to tell you whether you missed the question or not. That's how SOL testing works silly. If you don't agree with me you certainly won't meet the requirement of effectively interpreting. If you do agree with me I'll give you the credit, but then it wasn't really your interpretation either, was it? I gave it to you and all you had to do was recognize it. I guess we just fell off of Bloom's ladder. Look out for a more detailed post tomorrow, I didn't have time to add bullets to the text today. The documents pictured above were taken from: http://www.doe.virginia.gov/testing/scoring/performance_level_descriptors/index.shtml on May 10, 2011. Posted tables were found at the link for History and Social Science Performance Level Indicators, World History and Geography to 1500. My students took the AP Psychology Exam yesterday, so we won't find out the end of this story for a few months. Many of my colleagues have already laced up their rented shoes and selected a ball, but they won't have a turn to bowl for another week or two. But then, they'll be in the same place as me: waiting. There are two kinds of bowlers. 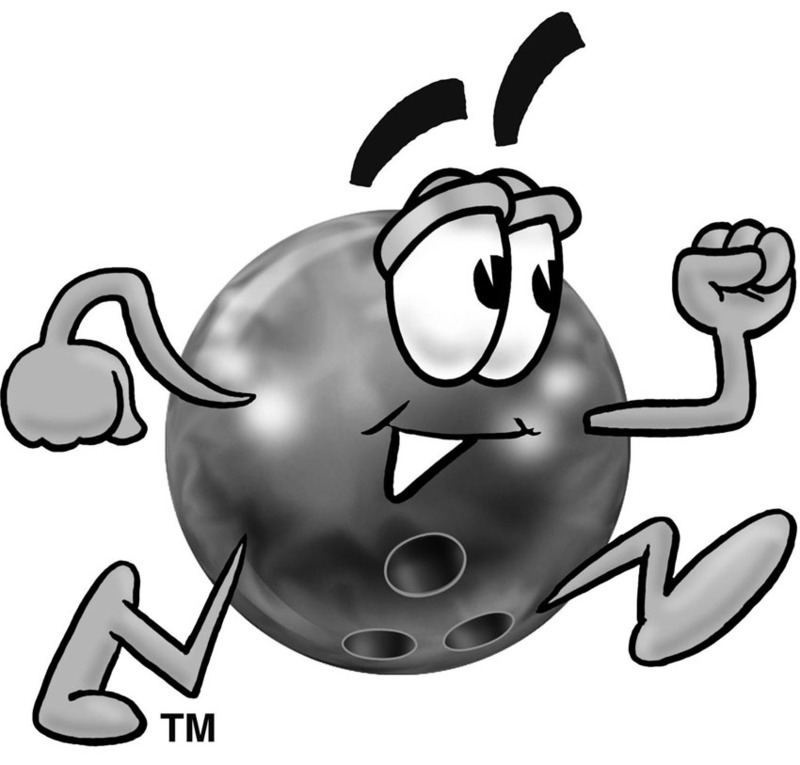 Type I releases the ball and either watches its path or simply turns away checking the results after the pins fall. Type II will stand at the foul line, shaping the balls path with concentrated mental effort and intentional body contortions-- staying active in the process until the last pin falls. 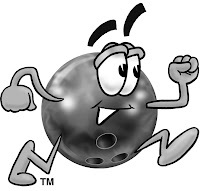 Type II bowlers waste too much energy trying to control what is out of their control-- just release the ball and let it work. The same is true for teachers in this era of testing. I know the stakes are not as high for me as for those teaching "core classes" with state mandated testing, but the analogy is true for all of us. We teach, we release, we wait. We trust that we've done our best and realize that now our students are sitting in front of the test (and later waiting for scores) it's up to them to finish the job. It's hard to find good analogies; metaphors that don't break down somewhere. Here's where the bowling/testing comparisons end, so let's change the story a bit to make it fit. one and two pin. Perfect release. But the ball looks ahead, those pins look different than in practice-- two red stripes instead of one-- distracted, the ball veers a bit off course, but there's still a chance. Half-way down the lane, the ball realizes it's off track, trying to get back to center it over-corrects, setting it further off-track than before. It still has a chance of hitting four or five pins. As the ball gets closer it sees the extra pins. They don't count for a final score, but the alley needs to test them out to see how they react in a real game. The ball doesn't know this and sees the extra row of four pins in the back and realizes it is impossible at this point to even salvage a spare for the next ball. The ball rolls without effort to the end and manages to knock over five pins-- but only two really count. The crowd boo's the bowler. 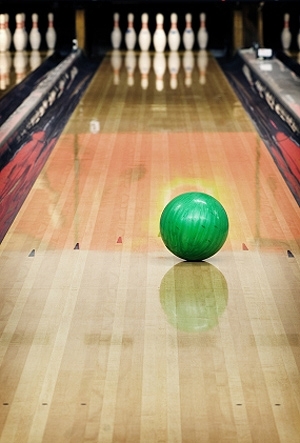 Too many people think this testing game is just like bowling-- teach, release, wait. Use good technique, practice well, and the outcome should be predictable. They don't realize the bowling balls have brains. Not just rational, thinking brains. Real human brains-- subject to physiology, environment, events of the day, events of the past, emotions, etc. Rather than a bowler, a teacher is more of a coach-- a coach whose team owner hopefully doesn't insist on keeping a high profile and/or micro-managing the team. The overall success of the team is largely the responsibility of the coach. But the coach can only take so much responsibility for a bad decision from a player (like an elbow to the head), bad calls from the refs (remember the fifth down), or a player who doesn't take practice seriously (I mean we're just talkin' 'bout practice). It is a shared responsibility. So in honor of National Teacher Appreciation Week (and National Charter Schools Week and the ten year anniversary of Iverson's "Practice" Speech), Happy Testing Season teachers. May your bowling balls roll straight. No matter how important you think what you are saying is, it is not nearly as important as you think. Reminders of this are frequent and often unexpected. This time of the year most teachers are focused on the impending test season. APs, SOLs and other acronyms loom in the not so distant future and we are all trying to convey a degree of gravity appropriate for the setting. That sets the stage for the reminder I received in class the other day. My students were viewing a video and completing a set of questions while I graded their just completed quizzes. I was pointing out some of the more significant details when a young lady near my desk leaped from her seat. Based on her body language it was clear there was some sort of insect harassing her. This is fairly common in the basement and I am not bothered much by bugs or any other creature for that matter. Plus I grew up watching The Electric Company and am quite familiar with Spiderman who was in the best part of the show. I usually try to remove pests quickly to the breezeway as opposed to using my foot to stomp them. This helps minimizes disruptions to the class and makes me look cool. Or it is intended to anyway. Most of the time the mustache bugs, ants, bees, skinks and mole crickets cooperate with little resistance. Imagine if you will, the scene where a bee buzzes at the ceiling lights. No matter what you tell your students about ignoring it, the proximity to them and the frantic movements manage to disrupt the class until you remove it. So this was affecting learning and I meant to fix the situation. I wouldn't have this in my class and I wouldn't be bested by any insect. I am a survivalist afterall. I qualify as such since after run ins with the previously mentioned critters, I survived. With all eyes on me I went into action. After inquiring and gaining intel on the "huge" spider I chose to apprehend the offender with some tissues, Puffs I believe. I rounded the corner of my desk and inspect the meeting of the wall and floor for my quarry. As I approached something horrific came into view. It was a spider and it was in fact huge. Feeling like the guy with the knife at the gunfight, I quickly reassessed my choice of equipment. I grabbed a cup from my Feudalism M&Ms simulation and re-engaged my foe. 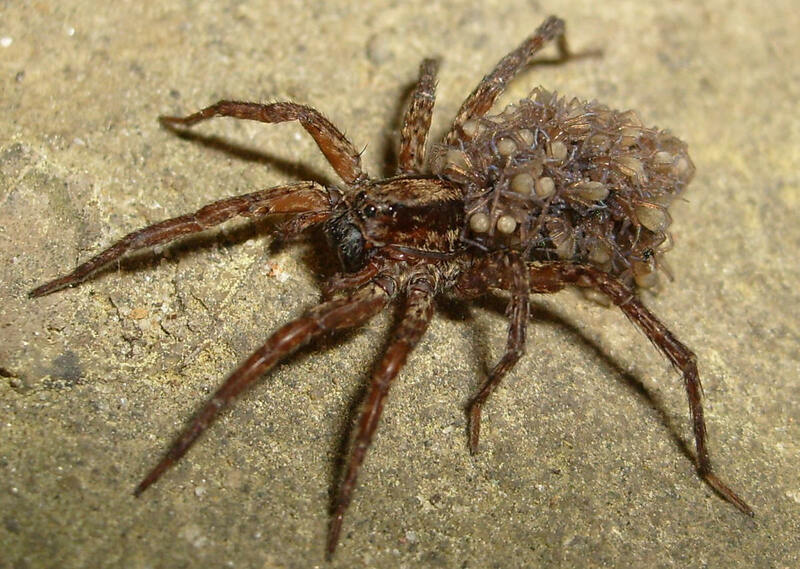 The Southern House Spider...and her kids. As I approached, the spider seemed to grow even larger and lifted its front legs in defiance. I bravely and calmly worked to capture the beast which had now gotten the attention of every student and roused many of them from their desk for a closer look. As if watching a car crash from which they couldn't look away. I scooped, and into the cup went the spider. Wow! It was a bit bigger than a silver dollar and had an abdomen the size of a super ball. Using the tissues to keep it in the cup I glanced beneath them just as the spider jumped nearly six inches to freedom. I watched it hit the floor and scurry beneath a bookbag. Frustrated I looked at the cup and to my horror it was crawling with small spiders. Worse yet a dozen or so had begun to move up my arm. Immediately I did what any seasoned outdoorsman worth their salt would do. I screamed like a little girl and flung my arm back and forth. This did little to help the situation. In my panic I had scattered baby spiders about the room and onto students. So now the class was in complete disarray and the students varied in their response. Some were frozen on their chairs in panic, some scurried behind their desks and some still ran to get a closer look. OK. This was getting bad. I had to save myself...I mean the students. "Once more unto the breech dear friends, once more" I thought. I steadied myself and grabbed the bookbag to reveal the legged terror. Swiftly as it fled towards the bookshelf, I corralled it into the cup and wasted no time heading out the door, leaving the students howling behind me. The sound from the cup will forever haunt me as the legs scratched for escape. I showed the capture to my fellow Underground Teacher only to have it escape again. My struggle getting it back into the dixie-cup trap left more small spiders scattered about the hallway floor. After a short captivity this noble Spider mom found a new resting place in the forsythia bush near the stairwell featured on our page. I returned to the room and for the rest of the period tried my best to get the students back on track. I had better luck controlling the spider. …BUT, within the last two years, a large amount of press time and funding has gone toward the Khan Academy, which essentially follows the principle of lecture and practice instruction. …We also expect more students to meet these demands without giving them more time to do so. …Yet the “flipped” classroom model is touted as a new form of teaching that will change education, never mind it absolutely requires significant homework or it won’t work. …While creativity and not “teaching to the test” are celebrated in rhetoric, the ever present reality remains: a drop in pass rates on the tests will result in negative publicity and potentially punitive measures. …Still, no one has solved the problem of effectively educating an entire population, some of whom would choose “no education” over “any education” if given that freedom of choice. …And in our public education system we’ve moved so much toward “student achievement” as the sole measure of performance that creativity, interpersonal skills, work ethic, motivation, and even positive behavior (all critical for both college and workforce readiness) are no longer reinforced. …Now incentive structures, strict hierarchies of authority, standardization of teaching and testing applied to schools and teachers directly contradict this attitude. So the men and women who directly commit their lives to working with children daily are simply self-interested. While the men and women who engage in conference hopping, ladder climbing, and political back-scratching are putting Students First. And those who profit from speaking engagements, consulting gigs, and high profile media exposure are in it for the kids.